An excellent choice for pairing underneath our tanks. 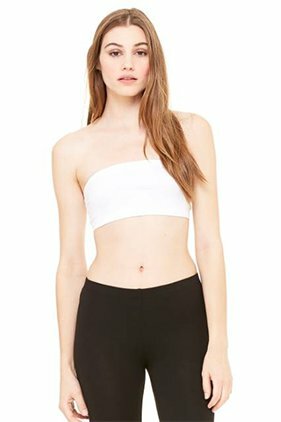 87% Airlume combed and ring-spun cotton/13% spandex 8 ounce bandeau. Elastic at top and bottom for support and comfort. Two sideseams. Form fitting.